Like so many people I know, I’ve had a Wii for going on two years now but never really used it in anger. (Blame the Xbox and PS3 for that). 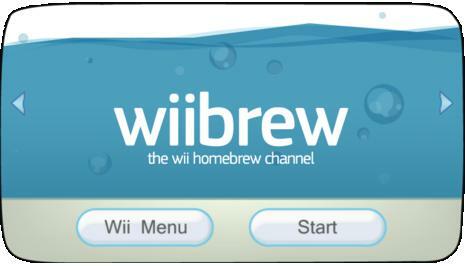 So this weekend, with little to lose (save for the possiblity of bricking a Wii I barely use anyway) I decided to take the plunge and install some homebrew. Following GAFS’s Wii Homebrew guide (to the letter) together with a 2 gig SD card I pick up in argos for about €10, a few hours later I was the proud owner of a Wii capable of playing downloaded iso’s directly off a USB-HD plugged in the back. The guide is pretty straightforward and handy enough to follow, though I’d caution against rushing into anything without reading each section in advance in its entirety. By the end of the guide, with USB Loader installed in the Homebrew channel I was a little lost with regards how to properly format the usb device and load the iso’s onto it. The answer to this turned out to be this handy app which takes care of all those issues. Author michaelosheaPosted on December 21, 2009 Categories TechLeave a comment on Wii Homebrew. I’ve long been a fan of usenet for all my downloading needs. I’ve always found torrents a bit fiddly, and a bit hit or miss depending on the age and popularity of what I was looking for. Author michaelosheaPosted on December 10, 2009 Categories Interwebz, TechLeave a comment on Usenet. Whats on my IPhone … ? Author michaelosheaPosted on November 10, 2009 Categories Life, TechLeave a comment on Whats on my IPhone … ? What followed was a weekend of googling, and general hair-pulling to get this little beast up and running ..